Sanjay Mathur is the Director of the Institute of Inorganic and Materials Chemistry at the University of Cologne, Cologne, Germany. His research interests focus on various facets of chemical nanotechnologies with thrust on molecular routes to functional nanostructures for diversified applications ranging from biocompatible materials, nanotoxicology studies, engineered surfaces and new materials and devices for energy applications. He holds five patents and has authored/ co-authored over 200 original research publications and book chapters. He is a Titular Member of the Inorganic Chemistry Division of International Union of Pure and Applied Chemists (IUPAC) and a member of the ISO Technical Committee 229 on Nanotechnologies. 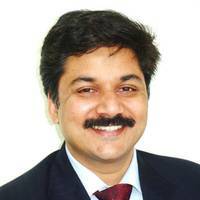 He serves as Associate Editors for International Journal of Applied Ceramics Technology, International Journal of Nanoscience and Nanomaterials. He is also on the Editorial Boards of journals Ceramics International, International Journal of Nanotechnology, Materials, Journal of Ceramic Science and Technology, Journal of Electroceramics and NanoEnergy. Prof. Mathur currently serves as the Chair of Engineering Ceramics Division of the American Ceramic Society. He is an Academician of the World Academy of Ceramics. He serves as the “International Ambassador” of the University of Cologne. He is a member of the Advisory Board of the Federation of German Materials Science (DGM) and also serves on the Advisory Committees of a number of international societies, and research institutions. He is also on the Board of the German Chemical Industries Network CHEMCOLOGNE and an appointed member of the Technical Advisory Board of the global company Henkel. He had organized several international and national conferences and Symposia. He has got several awards including the fellowships of the Alexander von Humboldt Foundation, IUPAC’s Young Observer and the stipend of the Federation of German Chemical Industries for excellence in research. He was an ASM International-Indian Institute of Materials (ASM-IIM) visiting lecturer for 2009. He was given the Global Star Award (2010) of the ECD of American Ceramic Society. He holds Visiting Professorships at the Central South University, China and National Institute of Science Education and Research (NISER), India. Alexander von Humboldt Fellow at the Institute of Inorganic Chemistry, Saarland University, Saarbru?cken. Scientific Consultant to ItN Nanovation Ltd. (Saarbrücken, Germany), Innovalogy (Tampere, Finland), Henkel (Düsseldorf, Germany) and NTEC (Barcelona, Spain). Titular Member of the Inorganic Chemistry Division of the International Union of ?Pure and Applied Chemistry (IUPAC). ?Chair, Engineering Ceramics Division Awards Committee, Am. Ceram. Soc. Rajitha Ravitas successfully defended her Master Thesis! Congratulations! More than 10 000 citations! Prof. Dr. Sanjay Mathur was cited more than 10000 times! Alexandra Ott successfully defended her Master thesis.